A felony DUI charge can result from several different circumstances. If your blood alcohol content (BAC) is especially high, you could be charged with a felony. If you cause property damage or injury to a person while driving under the influence, you could be charged with felony DUI. If you have previous DUI convictions on your record, then a subsequent arrest can be charged as a felony. 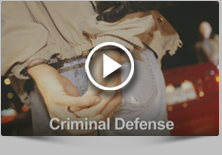 Conviction of a felony crime – as opposed to a misdemeanor – has several significant consequences. A felony DUI conviction usually means a definite jail or prison sentence and a much longer driver’s license suspension. In addition, you carry the felony conviction with you on your criminal record, which is visible to potential employers and anyone else who conducts a background check. If you are facing felony DUI charges, you need aggressive defense from experienced lawyers who will protect your rights, your freedom and your criminal record. Located in Harleysville, Fiore & Barber, LLC, provides criminal defense services to clients throughout the greater Norristown area. Our legal team has handled thousands of DUI cases in Southeastern Pennsylvania – and we want to help you. Our number-one goal when defending clients against felony DUI charges is to prevent a felony conviction, if at all possible. We will examine the case against you, looking for constitutional violations that may give us ammunition to argue for dismissal of the charges against you. We will also analyze the possibility of negotiating a plea bargain to a lesser offense, resulting in a misdemeanor conviction instead of a felony conviction. Going to trial is another option, and in the right circumstances it is the best option – we have the knowledge and skills to seek a not-guilty verdict before a judge or jury. The sooner you take steps to protect yourself after a DUI arrest, the sooner you will experience a degree of peace of mind. The lawyers at Fiore & Barber, LLC remain straightforward and honest with you, giving you practical advice and diligent defense to help you throughout the process. Call us today at 215-256-0205 or contact us online to arrange a free consultation. Our hours are flexible to meet your needs.